The culture of Goa is represented in their flavors and cooking style. With the long era of Portuguese rule and people of all three communities in Goa- The Hindu, Muslims and Christians have contributed to the local food in Goa. It is a perfect mix of east and west. 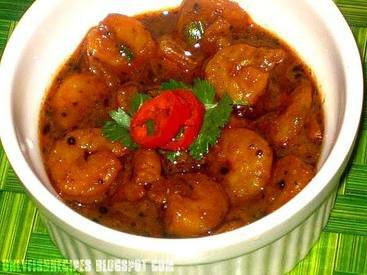 The best thing of goan cuisine is that "The Tradition style of Cooking" is still alive today. Seafood and Rice is their staple food. They are also experts in pickling different types of seafood.